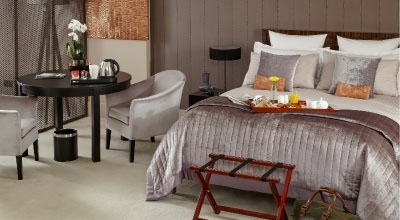 The most important room in any hotel, our bedroom collection includes all the essentials to ensure your guests have everything they need for a comfortable and restful experience. 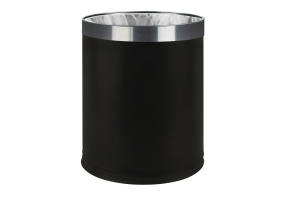 Our stylish and discreet bins are available in a range of styles and finishes to suit any interior. With a choice of 3L or 7L, our durable bins are a great choice for simple, impeccable presentation and come highly recommended by housekeepers for bedroom use. Making your guests feel welcome is the goal of any hotel. 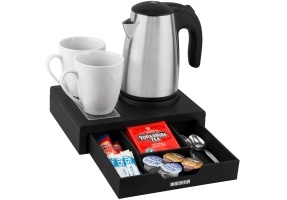 Corby of Windsor's trays are built for welcoming your guests with tea and coffee. 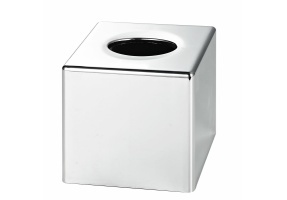 The incorporated design makes cleaning quick, allowing you to spend more time tending to your guests. Available in a selection of colours and finishes, our Hospitality Trays are the ideal way to serve your guests. Whether it’s washing, shaving or applying make-up, our stylish mirrors are an ideal hotel accessory for the bedroom or bathroom. 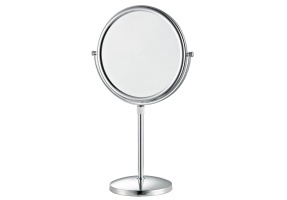 Available either free-standing or wall-mounted, our mirrors are designed specifically for hotel use. Peace of mind is valuable, especially for guests away from home. 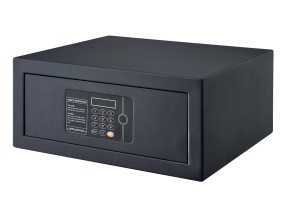 The additional security offered by Corby Safes is the perfect way to provide security and guarantee the safety of your guest’s valuables. Includes user-defined passwords and a master key, with a variety of access options for management should guests forget their details. Ensures your guests feel confident in the safety of their property. 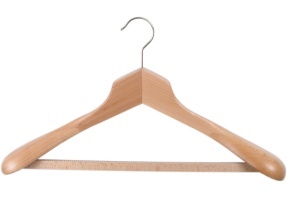 Made from beech wood and available in a choice of styles, our hangers provide a functional and elegant way for your guests to neatly store their clothes. All available with hook or security pin options to suit your unique requirements. Avoid cluttered bedrooms by providing a compact and convenient way for your guests to unpack their luggage in style. 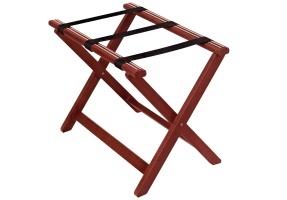 Available in a choice of styles, our luggage racks are designed to offer a practical yet luxury experience.